View cart 30 × “A Comprehensive Guide to Bhagavad-gita” have been added to your cart. For over 45 years, Hridayananda das Goswami has shared the wisdom of the Bhagavad-gita with ISKCON communities and at prestigious universities around the world. Thus, this publication is the fruit and culmination of a long, distinguished career of studying, teaching, and living the text. A Comprehensive Guide to Bhagavad-gita serves as a companion to A.C. Bhaktivedanta Swami Prabhupada’s groundbreaking Bhagavad Gita As It Is. Prabhupada personally instructed Hridayananda das Goswami to present these teachings “in your own words” to learned Western audiences. 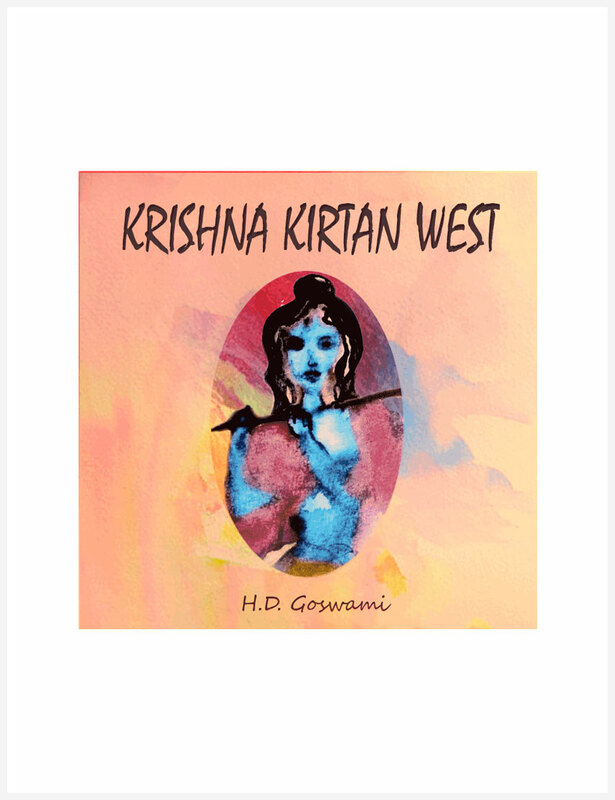 Thus, Hridayananda das Goswami has striven to combine rigorous study with simple language to give his readers easy access to the Bhagavad-gita’s complex and sophisticated treatise. Although currently under review by several mainline publications, A Comprehensive Guide to Bhagavad-gita has already received praise from ISKCON leaders as well as prominent scholars of Sanskrit and Hindu Studies—a sample of which is included below. As both a teacher and lifelong student of religious studies, I can confidently claim that H.D. 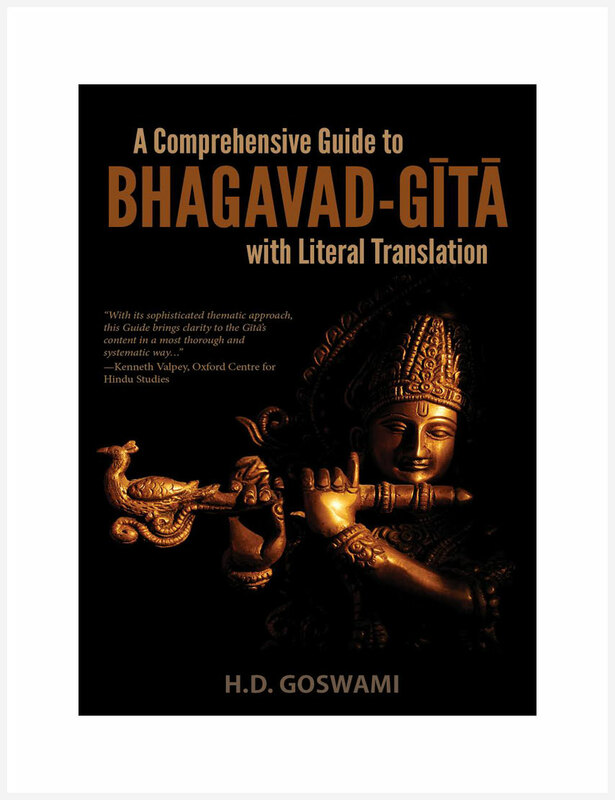 Goswami’s A Comprehensive Guide to the Bhagavad-gita is truly the best of its genre. This penetrating guide unpacks the Gita’s dense philosophy in a manner both accessible and enjoyable for a lay reader, undergraduate student, and critical scholar alike. The author’s unique position as both a Harvard scholar and religious insider brings forth a refreshing analytical sensitivity rarely achieved in a single book. Having assigned Barbara Stoller Miller’s translation in the past, I will be utilizing H.D. Goswami’s A Comprehensive Guide in the university classroom as its permanent replacement. 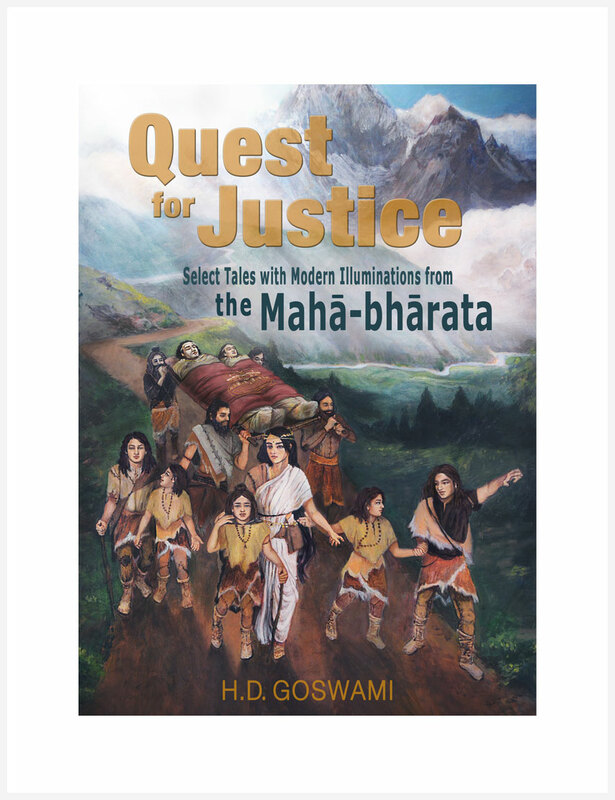 Finally here is a book which guides the reader through the text of Bhagavad-gita thematically! And written by someone who is both a scholar and a practitioner of bhakti yoga. Truly the best of both worlds.